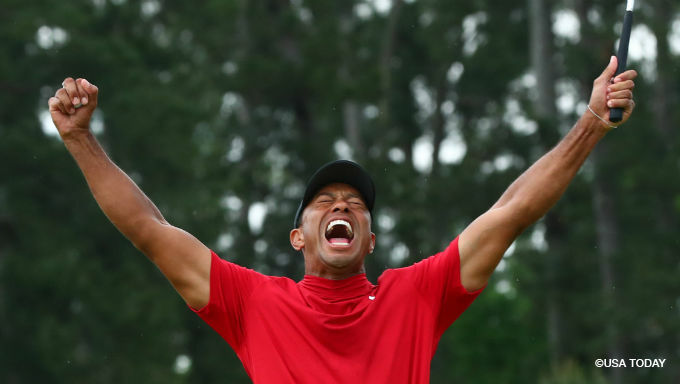 It had been more than a decade since Tiger Woods last won a championship, but all that frustration since he overcame Rocco Mediate in a playoff to win the 2008 U.S. Open was washed away with his come-from-behind victory at the Masters on April 14. Over the past few years, there had been plenty of debates about whether Tiger still had enough left in the tank to ever win another major tournament. Even he conceded he had doubts as he struggled with personal demons and a body that was breaking down and required surgery. The tide began to change when Tiger finished second at the 2018 PGA Championship and tied for sixth at the 2018 Open Championship. In early 2019 Masters betting odds, he was a co-favorite, only to see those odds slip pre-tournament. Savvy bettors cleaned up and sportsbooks took a beating, though bookmakers predict more golf betting now. When you consider the form Tiger showed at Augusta and that he is fully healthy again, he seems primed to make more noise this season. If he were to run the table in 2019, he would tie Jack Nicklaus for the most majors in golf history at 18. While Tiger has experienced the most major success at the Masters, last year’s performance at the PGA Championship indicates he could contend for the win here this year. Tiger was the runner-up in this tournament last year when it was played at the Bellerive Country Club. While it will be played at Bethpage Black this year, Tiger has also won at that venue before as well. In the 2002 U.S. Open, Tiger was the only player to record a score under part to win. He also finished T-6th at the 2009 U.S. Open at the same course. With a Masters victory in hand, Tiger should be rolling into the PGA Championship. He’s currently the top choice in the event, with Dustin Johnson second at +800 and Brooks Koepka and Rory McIlroy tied at +1200. The PGA Tour’s schedule changed this up to be the third major on the calendar. Once again, Pebble Beach is another course that Tiger has thrived at in his career. Tiger won the U.S. Open here in 2000. He also won the 2000 Pebble Beach Pro-Am. Tiger missed the cut in the U.S. Open last year at Shinnecock but he should feel much more comfortable this time around at Pebble Beach. This shapes up really well for him. The final major championship event on the 2019 calendar is The Open. A year ago, Tiger finished sixth at this tournament at Carnoustie. That was one of his most consistent efforts at a major (last year) as he shot 71 in three of the four rounds, along with a 66. This year, he will attempt to improve that performance just a little bit in order to compete for the outright win. Of the four major championships, this might be the least likely candidate for Tiger’s next major win based both on the order they will happen as well as Tiger’s overall history.